Since the Republicans took control of the House in January, they have made deficit reduction their top priority. However, while Republicans dutifully argue that slashing spending will create a positive "environment for job creation," their proposed budget cuts will cause significant job losses in the near-term. 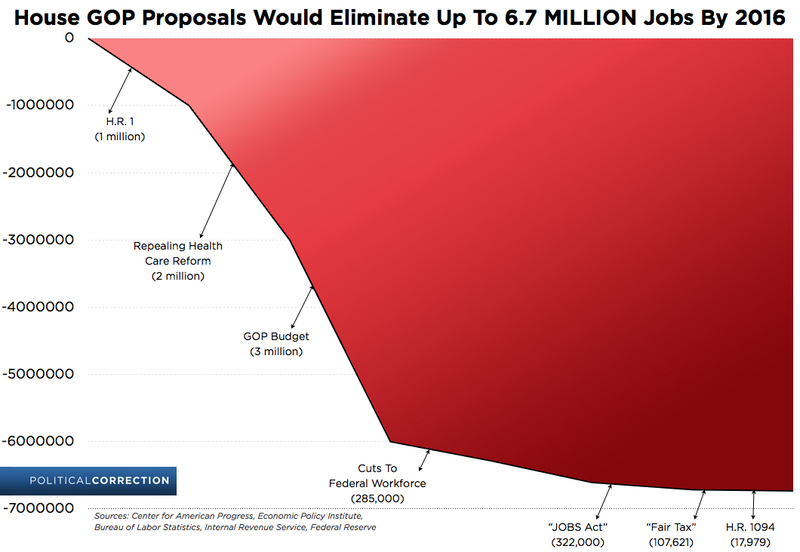 In just three bills this session, House Republicans have voted to eliminate between 4 and 5 million jobs, with some economists calling their estimates "conservative." Including proposed legislation that has not yet passed, House Republicans have attempted to eliminate up to 6.7 million jobs. H. Con. Res. 34 — "The Ryan Budget"